The ski season on the Alps is going to start in few weeks and it's time to plan snow weeks and ski weekends. For a non expert mountains can appear all the same: white, cold, only good for skiing. But to decide where to go for skiing is a task more complicated than what it can look like! Above all if in the group there are also snowboarders, hikers, and... beginners! 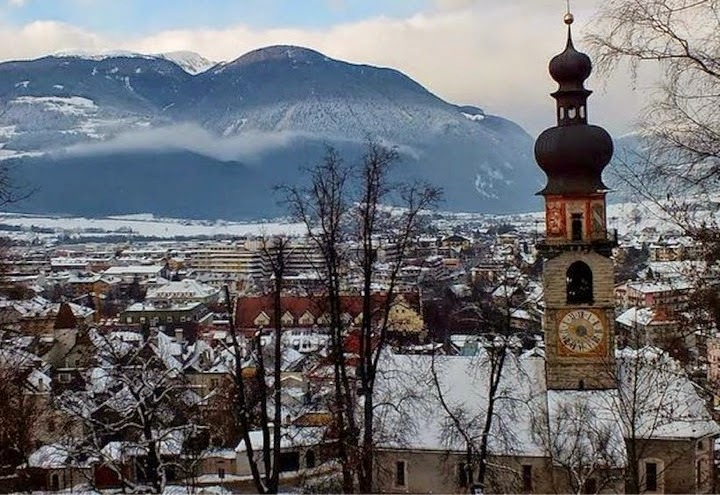 Then you must add the non-sports side: when you are not on the slopes you'd like to stay in a pleasant resort where to enjoy beautiful landscapes, taste delicious mountain food and, why not, do some sightseeing! If we might choose a place in Italy with all of these characteristics, for sure it is the stunning Dolomites in the provinces of Trentino and Bolzano, north-east side of the country. Yet, still in this smaller area, you can't count on your fingers the ski resorts which deserve to be taken in consideration for a snow week! We decided to pick two of them: Brunico and Canazei, which combine a charming atmosphere in the village with good quality slopes and breathtaking views of the surrounding peaks. But, should we choose the best of the two, we would just throw a coin! 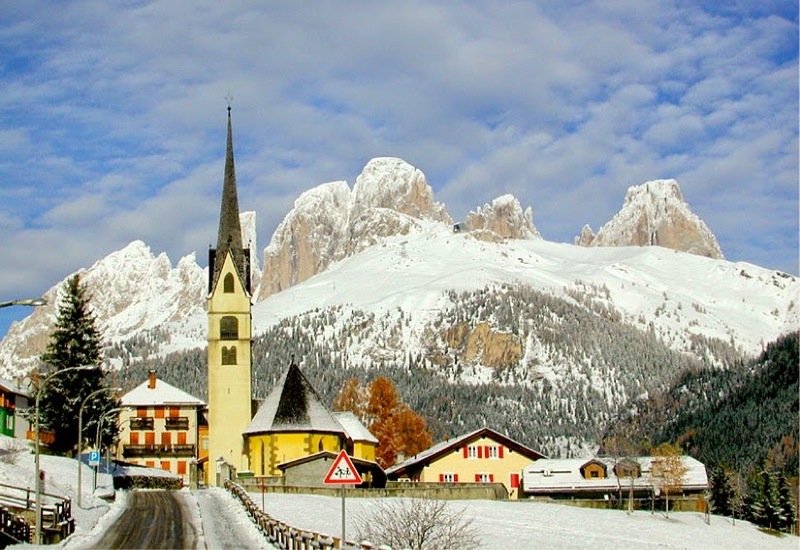 Brunico is the main tourist ski center of Val Pusteria, known for the traditional crafts of pottery and textiles, set in the heart of the most breathtaking peaks of Italy, the Dolomites of South Tyrol. Walled by Bishop Bruno in 1250, the town still retains the charm of medieval Nordic villages: narrow streets overlooked by windows with crenellated gables and balconies full of flowers (centuries XV-XVIII). In the Museum of Folk Traditions, you can see a reconstruction of ancient rural buildings: huts, barns and mills and a rich collection of home furnishings. The male embattled of the castle (XIII century), amended in the ’400 and ’500, dominates the valley. Lambert Castle, medieval but much altered, gives its name to the small village from which leaves the cable car to Plan de Corones, a renowned ski pole. 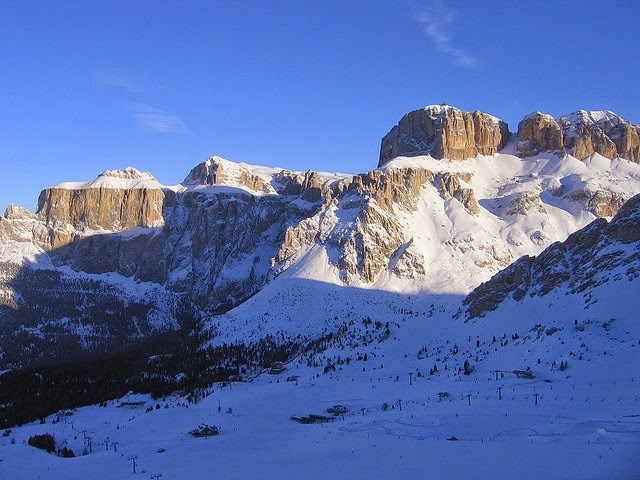 Well-known resort in the Val di Fassa, Canazei is on the edge of a basin, surrounded by the peaks of Sassolungo, Marmolada, Sella group and the Col Rodella, maybe the most beautiful peaks of Italy and of the Dolomites of South Tyrol. Featuring excellent accommodation facilities, modern lifts and several slopes for downhill skiing and cross-country, is a very popular tourist destination, loved by those who choose places not devoid of worldliness. At the center of the town, is the precious late gothic church of St. Florian with wooden Baroque altars and a shovel dedicated to the saint. PS. If you need a transfer from any airport to these ski resorts, check out this website! Such a beautiful resort, loved it.